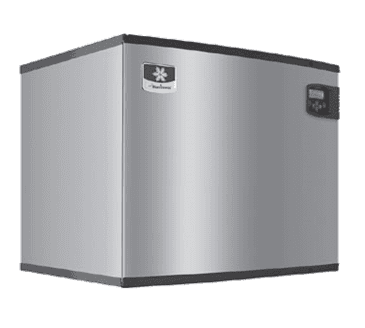 The 30" remote-cooled Manitowoc IY-1474C QuietQube Ice Maker uses cool vapor defrost (CVD) technology to make more ice with less ambient noise. With the machine distant from the remote condenser, your environment is much quieter, creating a more enjoyable experience for you, your employees, and your customers. This machine can make up to 1425 lbs of half-size ice cubes per day, and ice production can be controlled by time or volume, which helps save energy and reduce waste. Acoustical Ice Sensing Probe – for reliable operation in challenging water conditions. Available LuminIce™ Growth Inhibitor controls the growth of bacteria and yeast within the foodzone. Space-Saving Design – Up to to 1,425 lbs. (646 kgs.) daily ice production and only 30" (76.20 cm) wide. Quiet Operation - eliminates most noise from the refrigeration system. Promotes a relaxing atmosphere. Intelligent Diagnostics – provide 24 hour preventative maintenance and diagnostic feedback for trouble free operation. DuraTech™ Exterior – provides superior corrosion resistance. Stainless finish with innovative clear-coat resists fingerprints and dirt. EasyRead Display – communicates operating status, cleaning reminders, and asset information through a blue illuminated display. 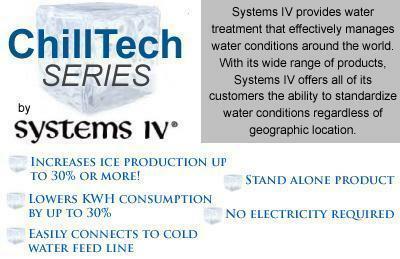 Programmable Ice Production – by On/Off Time, Ice Volume or Bin Level (with accessory bin level control) further improves energy efficiency and savings. Easy to Clean Foodzone – Removable water-trough, distribution tube, splash shield, and sensing probes for fast and efficient cleaning. Select components made with AlphaSan® antimicrobial. Eliminates most noise from the refrigeration system. Promotes a relaxing atmosphere. Removable water-trough, distribution tube, splash shield, and sensing probes for fast and efficient cleaning. Select components made with AlphaSan® antimicrobial. Provides superior corrosion resistance. Stainless ICVD Condensing Unit finish with innovative clear-coat resists fingerprints and dirt. Provide 24 hour preventative maintenance ID-1472C Ice Cube Machine - 115V and diagnostic feedback for trouble free operation. Up to to 1,425 lbs. (646 kgs.) daily ice production and only 30" (76.20 cm) wide.